Thrust plate is jaw crusher an important part, also in the process of crushing ore jaw crusher also easily lead to jaw crusher wear, is that we need to pay attention to the problem. 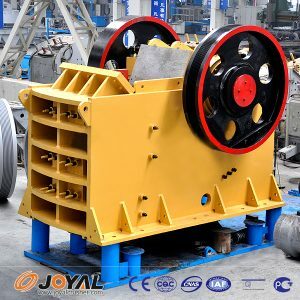 In the above, Shanghai Joyal mining machinery simple and we talked about the jaw crusher thrust plate wear problems, where Joyal continue to provide you with jaw crusher thrust plate repair problems. If the jaw crusher thrust plate plate in the course of the use of force during the break, the general is no longer repaired, but to replace the new thrust plate; modular thrust plate can be removed to continue to use the plate head. Jaw crusher maintenance work is necessary, we should always check the crusher parts of the wear and tear, once there is wear and tear, we should promptly repaired, the damage is reduced to a minimum.